What things should you consider when you're buying a new house while trying to sell the one you own? What's the best way to coordinate closing dates to allow yourself a comfortable time to prepare for the move but while also minimizing financial impact? How can you calculate what sort of house you can buy outright (or nearly outright) elsewhere for what you can sell your house for now? Kris and I had been in our first house for ten years when our dream home fell in our lap one day. Until then, we had no plans to move. We were completely unprepared to sell our existing home while buying a new one. Eventually we made it happen, but we violated a number home-buying best practices as we scrambled to make our dream a reality. We were particularly worried about how to time things financially. We couldn't afford to carry two mortgages — how would we possibly make ends meet? Ultimately, we were saved by the rise of the housing bubble and a friendly banker. Our home sold in one day, and we were able to close on it soon after closing on the new house. Meanwhile, a home equity loan floated us the cash we needed to get by. I don't recommend following our example. I think it's better to be prepared, to make your move in a sensible fashion. If you sell your home first, you'll have the cash needed to make the transition, but you'll be homeless until you're able to close on the new property. In some cases, you may be able to stay in your existing home by renting it back from the new owners. If this isn't an option, you'll need to find temporary quarters: rent an apartment, stay in a hotel, move in with friends or family. Neither option is ideal, especially since you'll likely have to move your stuff twice. But financially, this is by far the smartest choice. If you buy your new home first, you can end up in a cash crunch, especially in this current market. If you don't have enough in savings, you'll need to borrow money until you can sell your existing home. You can tap into your home equity, take out a “bridge loan”, or (as a last resort) borrow from your retirement savings. Run the numbers through your own spreadsheets or mortgage calculators and understand what you might be getting yourself into. Our social network was able to put us in touch with smart, competent people to guide us through the process. We were selling near the start of the housing bubble. Everything, absolutely everything fell smoothly into place. First of all, my bank allowed me to take out a home equity loan to get money for a down payment despite the fact I intended to repay the loan in only two months. The bank's lending rules prohibited this maneuver, but my loan officer processed the loan anyhow, and told me not to mention my intentions to anyone else. After our offer was made and accepted, we rushed to prepare our home for market. Because we hadn't been intending to buy, we were not ready to sell. With advice and help from friends, we made immediate cosmetic repairs. (The bones of the house were very solid — it was a thirty-year-old ranch.) I had just repainted a couple of rooms the previous fall. Kris' gardening hobby paid dividends as her flowers helped add curb appeal. Next we tackled financing. We had scraped together enough for the required down payment. We qualified easily for the new mortgage, but there was no way that we could carry payments on both houses at once. Our mortgage broker explained the various options. For a long time we believed we would need to access a bridge loan. I would advise against buying a new home before selling an existing one unless the house you are selling has such a good price that it will sell quickly. If you can afford to make two house payments for several months then you might be fine, otherwise it will more than likely spell financial disaster. There are several people besides myself in the Bend area that have bought a new house before they sold their other one, and not a single one of them is very happy right now. If I could do it again, I would rent an apartment first and wait for my other house to sell. This also would have helped a little with the price I paid for my house. The market in Bend softened a little just before we bought and them some more after we bought. This means that our new house might not be worth what we paid for it. There are several factors that come into play, but I would say that the most important is that the person must be prepared and financially able to make two house payments for six months or longer. One more important thing is that maybe the person loves the house they are thinking of buying and does not want to see anyone else buy it before them. But there are plenty of houses to go around, and they will probably find another one that they like just as well later. These two stories really only address a part of Ryan's question. Maybe you folks can fill in the blanks (and provide anecdotes of your own). Your best option, of course, is to plan your move, and to save up enough cash to be able to buy your new home first. This isn't always possible. And in the current real estate market, it's difficult to know just how much you'll need to save. There are 44 reader responses to "Selling Your Existing Home While Buying a New One". When you’re buying and selling houses, it’s necessary to be up to date on local tax rules. To use the Swedish example, if you’re selling your house, and moving into an apartment while you’re looking for a new one, you need to get the new house before the end of the (fiscal) year, or you have to pay taxes on the gain from the old house. My husband is a real estate agent, and deals with this all the time: when you place an offer on the new house, put a contingency in place that says you’ll purchase the house when your own home sells. Of course, this doesn’t work in a very active market, but as the market has been down some lately, you can easily do this. Of course, when this happens, the real estate agent usually continues to market the house, so if they get a new potential buyer, you usually have 72 hours to remove the contingency, or you lose the contract. That’s when you need to decide if you can go to 2 payments a month for a while, or if you’d rather wait and play it safe. J.D.’s brother has the right idea. The safest thing to do is wait until you sell your existing house before buying. When I bought my current house, I already had a contract to sell the old one. I was able to schedule the closings for the same day. The house I was buying was empty, so the sellers let me move my stuff in a few days early. That way, I could give possession of the old house to my buyer at the closing. I had to agree to pay the sellers rent (for allowing me to store my belongings) while I got everything straightened out. The rent was pro rata based on their mortgage payment, which was over $1,600/mo. Fortunately, I found another buyer for the old house fairly quickly, so I never had to make double mortgage payments. But I did have reduce the sale price of my house to make it work. GREAT timely information for me… as I prepare my house for sale. Been delaying all selling commitments (haven’t listed yet, real estate agent waiting for my word) until I get a more accurate concept where I may be moving. Thanks, JD! You can always put in a clause when you buy another house that the purchase is subject to the sale of your existing home. Not a popular clause in hot markets, but it does work with the right seller. 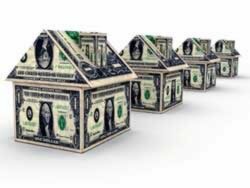 Yep, everyone should really set up a no cost home equity line of credit, so that when they want to sell, they have money available. Also if you buy/sell at the same time (which is obviously best). It’s often possible to get a rent back from your buyer to stay in the home for a few days to make moving easier. I did this 2 years ago. I was prepared to pay dual payments on both places for a few (very tight) months, but we ended up selling our place within 24 hrs, like JD did. We probably could have made another $10k with a higher asking price on our old place, but we might not have sold it for a while. I’ll second the home equity line of credit. Thanks to some frugal living we paid off our line of credit that covered 10% of our old (first) house. When we found our dream house, we could instantly extract money from that line of credit to slap onto the new home’s down payment, making the process very easy. In the end, the profit from the old home sale covered our entire new home’s 20% down and we could instantly pay off the home equity line we opened for that. We bought a house while attempting to sell our first house. Long story short, we ended up renting our first house out two months later – which meant two house payments for two months. It was tough, but we did it. I don’t see us doing that again either. Bridge loans are getting harder and harder to get, especially in down market areas like Florida. The banks know how long its going to take you to sell house #1 (a long time) and many bridge loan lenders will require that you qualify to own two homes (house #1 and the new house). If you don’t already have a HELOC many banks will not give you one if your house is on the market. We have recently moved to another state and the time factor was difficult. We spent about three months with my parents. To avoid moving twice, we had two “PODS” dropped at the house, loaded it up, and had them shipped. We took just the basics to my parents. By the time we factored in gas, moving twice, storage etc, it wasn’t too far off financially. And it was less stressful. Worked out great for us. Buying a home before selling a current home in this market is not something I would want to be doing. We bought our duplex in January, moved in March, and are still getting the house ready for sale. (OMG!) With 2 small kids, it would have been nearly impossible to make all the cosmetic changes “in place” (sorting/purging, removing wallpaper, plastering, pulling up old carpets, painting, etc. ), and DH had a few family and physical issues that slowed things down. Fortunately, the mortgages combined are within our monthly cashflow. We’re torn between “dumping the house” for -$20k or so ASAP, renting it out for just above what we’d need for expenses maintenance and waiting, or moving back in and renting out the duplex. We’ll see — at least we have choices. Even if we move back to the house, we’ll have less junk, which was a major reason I wanted to move to a smaller place in the first place. The other alternative would be to just plan on renting the old place until the market improves. Obviously you have to account for an initial vacancy and the risks of owning rental property. I just moved in May. Our agent for the old place was very realistic. She told us that we needed to take a $20,000 loss if we wanted to sell in two months. Since it was all funny money anyway we agreed and it took 2.5 months. Then the search was on for a new house, as I wasn’t going to buy a new house without having this one sold! We went to our new location two weeks later and found a house that would have only had us living in a hotel for a week. It turned into two weeks as someone along the chain couldn’t move their closing date. The seller’s agent agreed to pay for our housing for the extra days. We were lucky in that the moving company could just store the truck with our stuff for that two weeks for only $200/week (don’t try this during the summer and try not to have as much junk as we do!) At that point, we rented an apartment from someone who does short term leases for executives. It cost a great deal, but was cheaper than a hotel and was furnished. I think that a sense of realism is essential in this market, someone down the street from my old house had renovated and was still trying to get top dollar for it. The rest of us had defined top dollar down below what she was willing to accept and she wasn’t facing that fact. The buying or selling of a home is more of an emotional endeavor than a logical one. My wife and I lived in two homes in the past 10 years and have loved both of them. With that said, however, we recognized after both purchases and the emotional dust settled, that we could have found something we loved even more for possibly a lower price if we had managed our emotions (aka “house fever”) a bit better. As for the balance of buying a new home while selling an old one, this scenario is another potential emotional trap. Financially and logically, it makes sense to sell your existing home first and do the “double move,” if necessary. I agree always SELL FIRST. The trick on this is to move the possession date at least 3 months in the future. That should give you enough time to find something to move into. Worst case you move stuff into storage and rent for a while. That way you also know exactly how much money you have to go shopping on the next place. I agree with Kent. “House Fever” can really bite. I purchased my current home before my previous home sold, and at the bank’s suggestion, ended up using the old house as a rental for a year and a half. What a nightmare. The first tenant I had (a family) destroyed it. My second tenant (a single mom with one adorable son) loved the house and finally made me a purchase offer I couldn’t refuse…$30k above my previous listing price and no listing agent! It worked out well in the end, but the stress of having my beautiful home and yard destroyed by the first tenants, combined with the expense of having to restore it to it’s previous state, wasn’t worth it. Next time I will sell my house first and trust that the perfect new location will present itself. Man, almost losing both houses is rough. If I were in that pinch, I think I would cut my losses by officially giving up on paying for one house in hopes of keeping the other one. I totally agree with Brandon on trying to keep at least one house. We found a great house that is perfect for my daughter and I at the end of October, 2006. I settled at the end of December (hint: if you celebrate Christmas, do NOT move right after Christmas! I’m just saying…). We were very lucky that housing was still relatively hot at that time because I put our new house on the market on 1/10/07 and accepted a contract for it on 1/14/07. Our agent was fantastic with lots of good advice and a reasonable approach to pricing – not too hight but also not too low. I also used a “handyman” company that fixed up all the little things that we had lived with for years but which needed corrected to sell, hired professional painters to just paint the entire interior off-white, and had new carpet professionally installed. It was all worth it because they saved me a lot of time and stress and I was able to sell quickly. If we had not sold it, we would have rented it out. Not having the other house sold is a much harsher option than moving twice. I have seen people ruin there finances by buying a house and not having a firm deal on their old one. How timely! This is something we just started discussing this weekend for a few years down the road. We are planning to move back closer to our parents — a move about 5 hours from here. So we’re not staying in the same market. Think of all of the things that have to add up: two new jobs (or a transfer), sell old home, buy new home. In general I agree with the advice of selling the old house first, then buying the new house, or if need be, renting an apartment till you figure out where to move. However the opposite problem happened to my brother and sister in law. They put up their house for sale at the same time they started actively looking for a new home. However their old house was attractive (reasonably priced 2 bedroom bungalow) while my brother in law was very particular (picky) about their new home, would only look in a couple neighborhoods, etc. Their old house sold quickly, and my sister in law was getting frantic they would be homeless. My brother in law finally saw a house he approved of, but they ended up bidding 5 or 6k above the asking price, because they wanted to be assured they got it, because they felt they didn’t have time to start the process over again if this one didn’t work out. So you can lose money by selling your old house first, by feeling pressured by time demands to get a house rather than moving twice. And I had an employee here at new job who’s old house sold in two days. It took her another 6 months to find a new house (luckily the buyers were far more patient than I would have been, and she didn’t have to move). We just successfully bought a new house before selling our condo. In our experience, if you have savings and a good credit rating, it can be done. We found our house and bought it for about $50K below market because it was pure 1978 inside. We sold our condo for a small profit about a month after closing on our new house. We also got a great interest rate (30/fixed) with zero down on the house while being able to buy without the deal being contingent on the sale of our condo. We had 12 months worth of condo mortgage payments in savings. We priced very aggressively and sold at 96% of our asking price in just over a month. We were prepared to sell for a loss of up to $20K. We left nearly all our stuff in our condo to show it furnished and basically had 2 plastic chairs and a mattress on the floor at the new house. The buyers bought about $1000 worth of our stuff! We negotiated aggressively on the purchase of the house – starting almost $100K below asking. We negotiated aggressively on the sale of our condo. The first offer was from a bargain shopper that didn’t want to even put it on paper. We told him to take a hike after our reasonable counteroffer got a weak response. Within a week of that conversation, we had a second offer that was written, with a deposit, and realistic (same day as their first viewing). It was SCARY to say no to the first offer, but we knew our condo was priced correctly to sell higher. We had a great realtor too. He brought both of our prospective buyers in — they weren’t just drive bys or random open house people. He got really aggressive when we told him after one month we were going to take it off the market and rent for a loss to wait things out. (which would have meant he’d have lost out on potentially thousands) All of a sudden, we had 2 offers. It can be done, but you have to have a high tolerance for risk and stress, and you really have to know the local market. I second the PODs idea from #2. We are in the midst of building a new house, and we just closed on our old house. The last thing I wanted to do what move twice. (Old house to storage, storage to new house). While the PODS company is a but pricey, we found a local company that was a good deal cheaper. It is a local move, so a local compnay worked for us. The per month storage rates are not much different than normal storage. The pickup/delivery charges are the difference. We felt it was worth it, especially since I did not have to rent a truck to get our stuff to/from the storage unit. My neighbor is in a bit of this situation currently. His house has been for sale for about 4 months now, and I believe he has already moved to another city for financial/job reasons. I know initially he tried to sell the house “by owner” but things must have gotten tighter since he recently signed on with a realtor. I was almost planning a move myself, but after seeing these houses just sit around, I’ve decided to focus on how to improve other things locally. When I become a homeowner, I will probably err on the side of caution and make sure that my old house is sold before I buy the second house. Our neighbors moved to Florida almost two years ago and their house has still not sold. However, they have been leasing it out fairly continuously for the last several months. It’s scary and sad to think about how much stress they’re feeling paying two mortgages. Wow, he’s been paying 2 mortgages for the past 2 years? I hope he’s at least been able to rent out the old place at the same time to cover some of the cost. I would get really aggressive and creative if I was in that kind of situation. I’d do pretty well anything, including taking a big loss on house number one just so I wouldn’t lose both houses! I am currently a first time home owner, so I haven’t dealt with this yet, but have given it some thought. I start with the assumption that when I move it will be to a different city for a job, as I probably won’t know the city very well I think renting for a while until you learn what neighborhoods you like or what is close to work in your price range etc. makes sense. Minimizing material items also makes moving twice not as big a deal. I wouldn’t mind moving twice in 6 months or a year as that is a typical rental lease agreement time. I guess, in a way that is how our current house was purchased. We rented for a year after moving to a new town and then bought when a house we liked became available, not because we “had” to buy a house. Selling a home and then purchasing another, can be very hard in this market. My wife and I were able to utilize our heloc back in 2004 to purchase our new home. We sold our existing home in less than 30 days. Now the heloc are drying up and banks are less likely to let you tap into it. Here in California, 30 days could be a loss of thousands of dollars if prices continue to fall. Waiting to sell a house could be very pricey. First time home buyers may be in the best position of all, if they can come up with 20% down. Lot’s of inventory to choose that first dream house. Although I normally curse the English house buying system, it can actually work out pretty well in this respect. A really fast house transaction with a mortgage will take 6 weeks to complete, I think mine took 4.5 months. Given the longer timeframes it’s easier to line everything up. Of course, this is more of a silver lining than actually a great thing, but I’m trying to look on the bright side. I can certainly understand the difficult decisions and stress that accompany a move and real estate investments. I’m in the military and have moved several times during my career. Well, I have another move coming up in the Spring of 09. This time from Virginia Beach to Boston. The stress and decision-making will still be there, but this go round I’m going to do everything in my power to keep my current home AND buy a new one in New England. I’ve been fortunate to have made $250K in appreciation and possess a mortgage payment that is $500-$700 less than neighborhood rents. I’m not going to pass up on positive cash flow, a second property at owner occupied financing rates and the opportunity to NOT sell during market lows. I’m Minding My Own Business, are you minding yours? We have an unusual situation where we live in Canada. We have and older home on a 50 foot lot and new homes can be built in our area on 25 foot lots. Meaning we can subdivide and build two houses. However, where do you live in the mean time? Not relevant to every area but if you are in an area that is being redeveloped it is worth a try. It does require getting builders to think outside the box. Yah, house fever is a problem. You should do a post about your brother’s house situation – that would be pretty interesting. It’s not good advice to ‘always’ sell your home before buying another. As many commenters have said, it can take months to find and close on another property. And in a rising market, you can easily find yourself left behind in just a couple of months and not even able to afford your old house. In the current market, you might be okay. Just be careful of any advice that starts with ‘always’ or ‘never’. I was lucky when I bought my current house before selling the last one–someone came along a few weeks after we listed, and it sold. But at about the same time, a friend & her husband arranged to have a house built. They decided not to sell their existing home at that time, because they didn’t want to have to move twice. This was just as the bubble was picking up speed. What with Contractor Standard Time, the bubble was starting to deflate when the new house was finally built. They put their house on the market and didn’t get so much as a nibble. That was three years ago. They’re still paying two mortgages, heaven only knows how. They’ve managed to rent the old place for short periods. In the interim, the grocery store onto which the old house backed has closed, leaving a ghost shopping center…hard to know which is a worse neighbor: a 24-hour supermarket or an empty strip mall. The value of their house is now somewhere in the sub-basement–they effectively have no chance of selling. Watching that debacle has led me to think I’ll never buy another house without selling the old house first. Thanks for this article, and the link. We are going to be putting our house on the market and looking for a new one around Christmas time this year. I’ve been worried for a while about how the logistics and timing are going to work out! In this market, we don’t even bother checking out houses that are listed By Owner. Very often they are riding the market down because they are unrealistic about the real value of their house. Second, they don’t know how to conduct a decent open house. Third, their availability to show their house is usually limited. When we put our condo on the market, we left it furnished, staged, absolutely clear of personal items and spotless every single day. We never said no to a viewing. Even the little things like that make a HUGE difference if you’re trying to sell. Several of the homes we looked at buying have been taken off the market now after months with no offers – and if they’d just price more aggressively, they could have sold. My wife and I (and 4 kids) are trying to get ready to seel our home to purchase a larger one. I am curious about the “little things” you mentioned in your post. Could you share some of those? Unless you can carry both mortgages, you really can’t do anything until you sell your first home. I am making the choice to move into a newer and nicer home but don’t want to sell my current home at the bottom of the market. I plan on renting it for two years and then selling (to get residence exemption). Hopefully the market recovers a little bit more. It definitely makes more sense to buy at the bottom of the market in the new house so that is what I did. My wife and I closed on our dream house. With that said we still live in and matain our house we lived in for 10 years. We payed the property taxes out of pocket. We are, as all other people upside down, and the bank HSBC did not work with us. So we decided to get into our dream house and closed on it. We are palnning on a short sale and we do not pay pmi, is anyone in this same situation if so how did it turn out. I would get truly forceful and inventive in the event that I was in that sort of circumstance. I’d do really well anything, including taking an enormous misfortune on house number one so hopefully I wouldn’t lose both houses! I moved for a job a little over a year ago and ended up getting a steal on a foreclosure back I. February that allowed me to pay less for a mortgage than I was for rent. The problem is, I still have my old hose and cannot get any interest in it. I can’t really reduce the asking price because I’m pretty much asking what I owe. I’m afraid that in a few more months I won’t be able to cover everything anymore. The mortgage company has ended up being the same for both houses, and my old house is a VA loan. What should I do? ?